My sincerest apologies for the long wait for a new post. I’m afraid that I wont be much better at updating from here on out, but I shall try not to let too much longer go between posts! 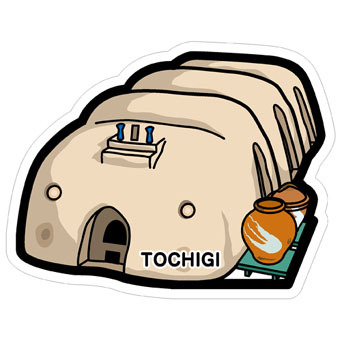 Tochigi’s 5th postcard depicts the kilns of Mashiko, a small town famous for its pottery. I’ve never been, but recently Japan Guide published a piece on Mashiko in their Chotto Zeitaku series, which I thought would be fun to share with you. Since the article does a fabulous job of explaining the pottery and the town itself, I will let it speak for itself. Without further ado, please click here for more on Mashiko and the pottery experience!